Freshly Made Sketches: Winners For Sketch 231! Thanks to everyone who tackled my sketch this week! You all made the gallery look fabulous! 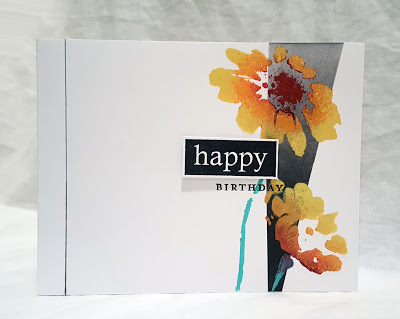 My pick for Queen of Clean goes to Shawna who used the sketch in a wonderfully unique way, centering the focus on the right hand side of the card and making great use of the rule of thirds in her layout. Her ombre panel and those gorgeous flowers are so striking! Congrats, Shawna! Beautiful cards! Congrats to the winners!! Thank you so much for the win!! I really do appreciate it! It was a great sketch and a lot fun to work with.. Congrats to the winners!! Thank you so much Linda for picking my card! Congrats to Shawna and all of the princesses! Shana congrats for the lovely card and all teh princesses, and Jen thanks for piking my card and waiting for the new sketch. Thanks for choosing my card Rita (also my mom's name!). I so enjoyed that sketch! Congrats to all the other winners as well!